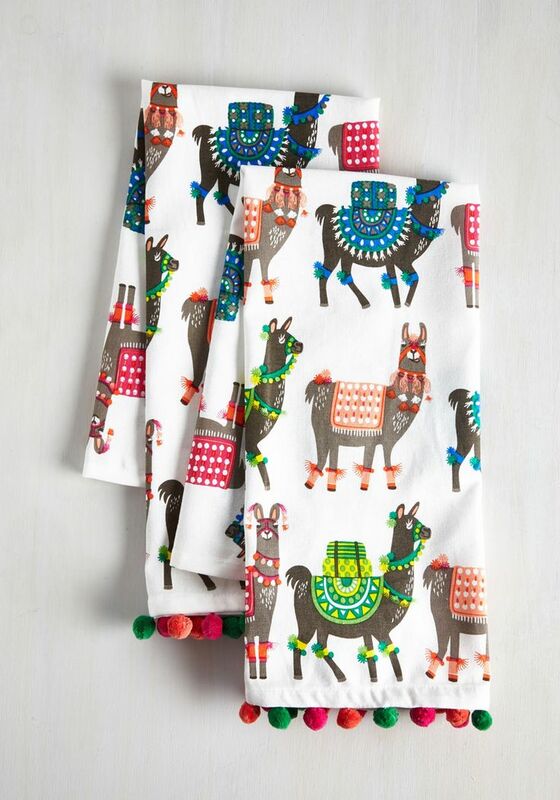 This cotton Llama Tea Towel Set is designed with colorfully decked-out llamas and festive pom-poms. Set of 2. Machine washable. $19.99. Buy here. 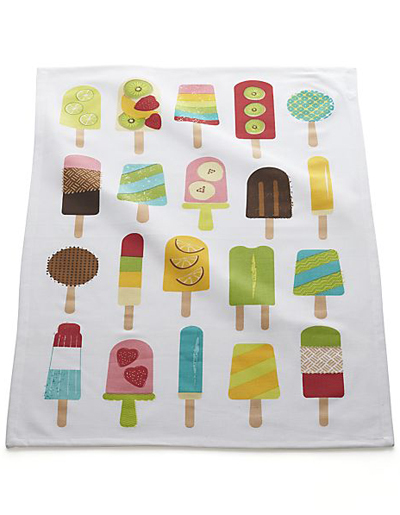 This Frozen Pops Dishtowel features a colorful assortment of popsicles and other frozen treats printed on white cotton to sweeten summer kitchen chores. $5.95. Buy here. 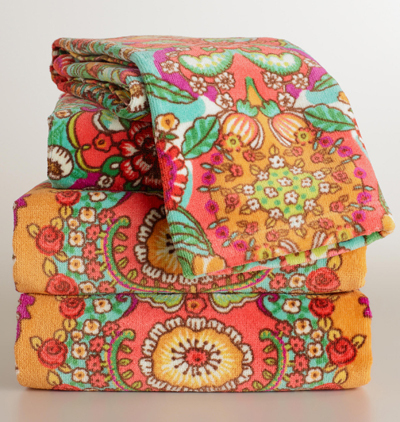 A kaleidoscope of bright coral, aqua and yellow hues dances across this Bettina Floral Bath Towel Collection, with a solid sea blue on the reverse. This exclusive medallion print creates a warm, lively vibe in your bathroom. $9.99-$16.99 Sale $7.99-$13.59. Buy here. 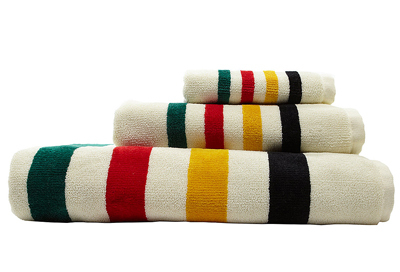 From Pendleton, these Glacier National Park Bath Towels feature a bold, multicolored look with dobby velour stripes inspired by Pendleton’s Glacier National Park blanket. $12-$38. Buy here. 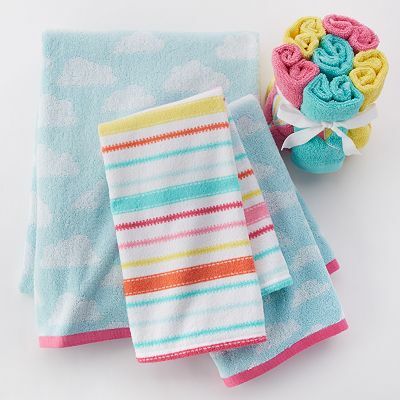 The pretty pastels and stylish details on these Jumping Beans In The Air Bath Towels are sure to keep her reaching for the sky. Soft cotton fabric promises complete comfort. Durable construction ensures lasting use. $19.99-$24.99 Sale $11.99-$14.99. Buy here. 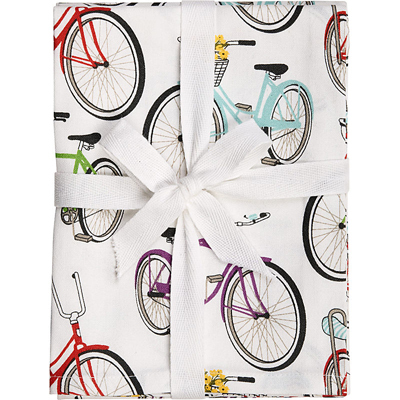 These charming patterned Bike Tea Towels feature colorful retro bicycles. Lovely for your kitchen or to give as a fun hostess gift. 100% cotton. Set of 3. $16.95. Buy here. 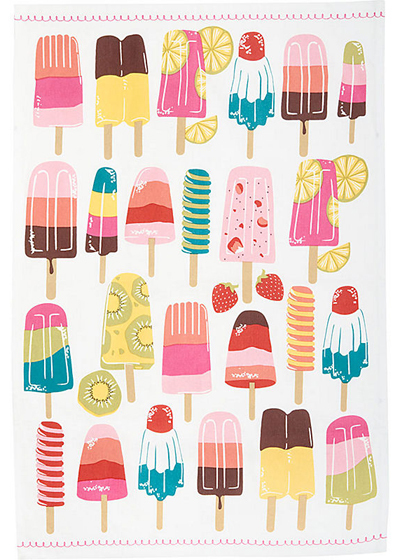 Busy cooks will appreciate this playful Happy Days Dish Towel Set. 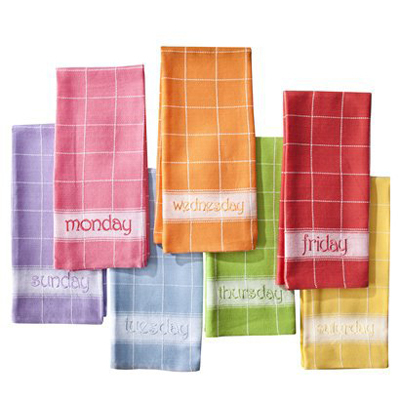 Each towel in the 7-piece set displays a day of the week in assorted colors. You’ll be able to establish order in the kitchen as you hang a new towel each day. Plus, you’ll add a touch of whimsy to your kitchen decor. Absorbent cotton towels make cleaning up after meals easy. To clean, just toss in the washer and dryer at the end of the week. $23.99. Buy here.